The next time you long for a mountain getaway, set your sights on Dillard, Georgia, in Rabun County. Established in 1794 by John Dillard, a captain in the Revolutionary War, this quiet Southern enclave maintains a small-town feel despite its convenient location just two hours northeast of Atlanta via 441. You won’t find any chain restaurants in its two-block downtown. What you’ll find instead is a welcoming, family-friendly place brimming with antique stores, locally owned restaurants, and plentiful opportunities for enjoying nature. Against the breathtaking backdrop of the Blue Ridge Mountains, Dillard is surrounded by four state parks and enjoys four distinct seasons, making it pleasurable to visit all year. Whether you prefer leisurely outdoor pursuits or adrenaline-fueled adventure, you’ll find plenty of options to suit your taste. If your ideal weekend getaway includes gorgeous scenery and a restorative dose of fresh air, Dillard won’t disappoint. 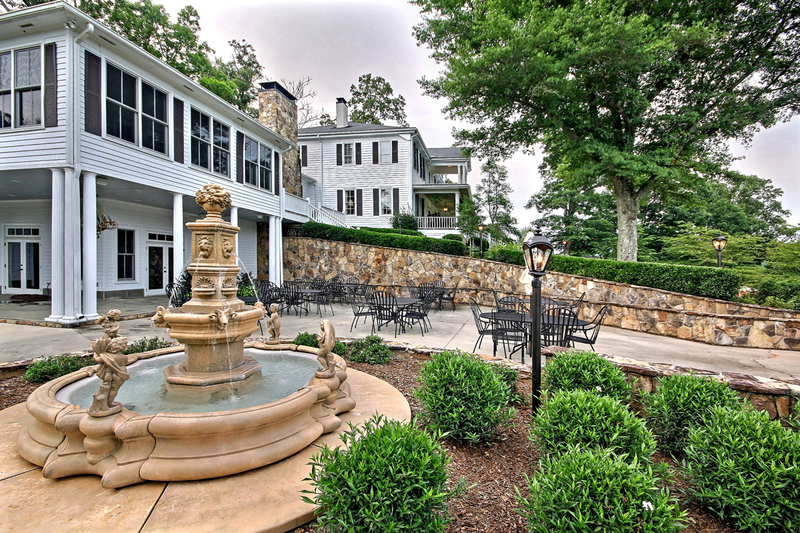 Stay at the historic Rabun Manor, built in 1846, which offers a unique and personal touch, with fine dining and a romantic setting you won’t soon forget. The famous Dillard House Inn offers a variety of accommodations and amenities to please any traveler. Enjoy easygoing mornings on the porch admiring dogwoods, rhododendron, and wildflowers, and don’t miss award-winning Southern-style farm-to-table dining at the Dillard House restaurant. Spend the afternoon wandering downtown Dillard, which boasts 40,000 square feet of antiques and specialty shops. Or venture out to cast a line: try the trout-stocked pond at Andy’s Trout Farm (they’ll hook you up with all the equipment you need and clean your fish, too). 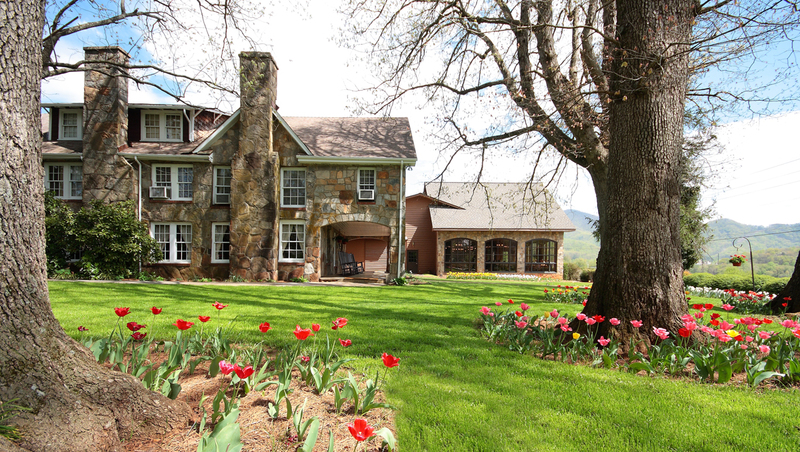 Give Dillard House Stables a call to book a fly-fishing trip at nearby trout streams. 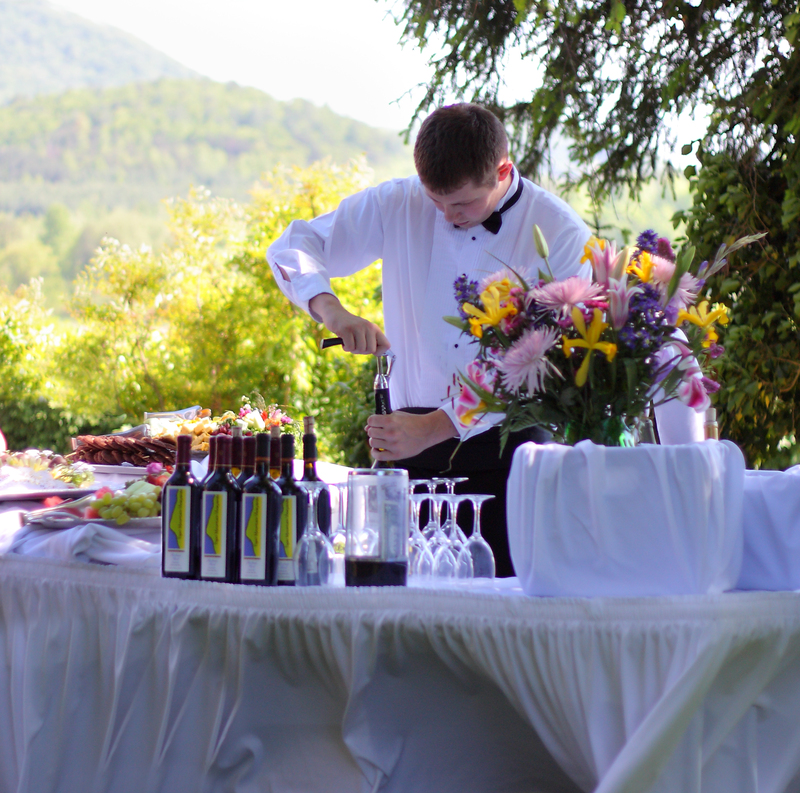 A visit to one of the three area wineries should certainly be on your to-do list; 12 Spies Vineyards, located in Dillard, offers a beautiful setting for watching the sunset with your favorite taste of wine. Guests of the Dillard House also enjoy free wine and cheese on select evenings. Dillard is an excellent home base for wine tasting. If you prefer more moderate activity, grab your hiking shoes: the Appalachian Trail is just fifteen minutes away, and Dillard itself is surrounded by national forests and state parks brimming with hiking trails. One popular destination is Black Rock Mountain, just three and a half miles from Dillard. 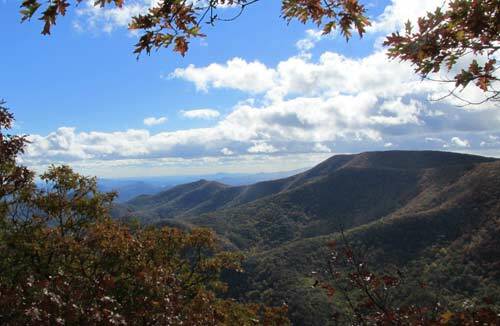 Trek the two-plus-mile Tennessee Rock Trail on a clear day (rated moderate to difficult) and your efforts will be rewarded with an 80-mile view of North Carolina, South Carolina, and Tennessee. 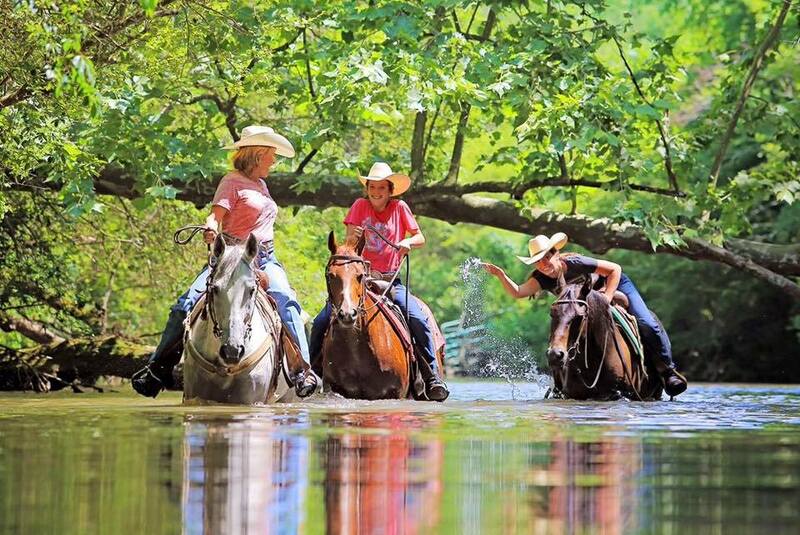 Whether you’re a newbie or an advanced horseback rider, you’ll enjoy the unique opportunity to tromp through the Little Tennessee River when you book a ride with Dillard House Stables. After a long day spent outdoors, wind down with a free tour and whiskey tasting at Dillard’s R.M. Rose & Co. Distillers. Get a great quadriceps workout and tackle steep descents at Tallulah Gorge State Park. Traverse rocks, boulders, and 550 metal steps along Sliding Rock Trail for an up-close view of this natural canyon stretching nearly two miles long and 1,000 feet deep. Permits are required for bouldering and for hiking to the canyon floor, so make sure to visit the park’s Jane Hurt Yarn Interpretive Center (a great spot for grabbing maps, advice about local attractions, and wildlife information). For on-the-water thrills, blast through the class two through five rapids on one of the many rivers in the area, including the Chattooga, Nantahala, Ocoee, or Pigeon. Or rent a kayak for the day instead. To dry off, speed through the air on a zip line at Highlands Aerial Park, just a few miles away. Dillard is your year-round destination for fun―perfect for antique, wine, and adventure lovers!